Back in January, we ran an article on the beer scene in and around Darwin. With a new brewery on the way, we wrote, "it means 2018 may be the year in which there will be enough beers brewed there to be able to include all six states and both territories in our end of year roundups." 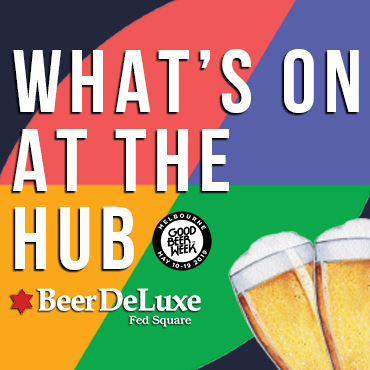 Close to twelve months later, while Beaver Brewery did sell its first beers before the year was out and Alice Springs gained its own local brewery too, we decided it still made more sense to cover the beer scene as a whole rather than look to create a best beers list. The couple behind the youngest NT operation, Chris and Kiarna Brown, decided to launch Beaver Brewery soon after moving to Darwin at the start of 2017. Kiarna grew up in the city but it was when they moved to Hobart that Chris got his first taste of professional brewing when he started working with Steve Brooks at Captain Bligh’s. Clearly, moving from such a small state with more than 20 breweries to a vast territory with just a few beers to call its own had quite the effect on Chris. “It’s been a long time where there hasn’t been good beer in Darwin but it is getting there,” he says. Chris is quick to point out that much credit for the change is due to Stuart Brown and Bardy Bayram, who launched One Mile Brewing in 2012; he says the brewery has encouraged both venues and drinkers to be more open to different beer styles. The core range at Beaver Brewery – named after Manly Sea Eagles star Steve “Beaver” Menzies – is made up of Consultant Pale Ale, Boofhead Lager and Dougy Brown Ale and Chris says locals have been quick to embrace the brewery's arrival. And, while Darwin’s hot and humid weather can be seen as a hurdle to anyone wanting to introduce diverse beer styles, Chris points out it’s never been hard to find a Guinness locally. The three beers released by Beaver Brewery at time of publication. “There’s a stigma that most people up here only drink a certain type of beer," he says, "but it is a pretty transient population and craft beer can be pretty popular. Then there are venues like Lola’s Pergola, The Precinct Tavern and Six Tanks – which also brews its own beer – where they're supportive of both craft breweries from interstate and those made locally across far more than a single tap. Stuart Brown from One Mile Brewing mirrors Chris’ comments, pointing out that it’s often the younger operators that are more willing to embrace a wider array of styles. “There’s still a long way to go to meet the likes of the bigger cities but it is growing,” he says. The populations of both Darwin and Alice Spring are notoriously transient, with the Territory having higher levels of interstate migration loss compared to the rest of the country. Those who move to the region tend to be young and Stuart says Darwin’s newest residents are helping drive change locally. NT's pioneering microbrewery founders Stuart Brown and Bardy Bayram of One Mile Brewing Co.
It’s a view reflected by Chris, who says once Beaver Brewery is open to the public every second Friday (most likely from February 2019), he’ll be more comfortable releasing the brakes on the styles he wants to brew. 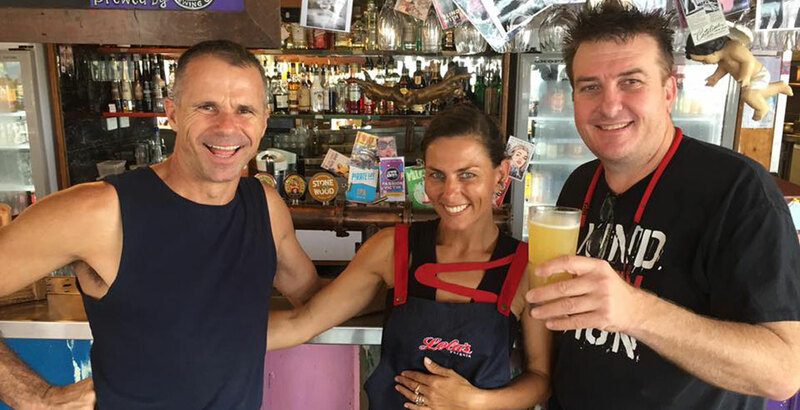 One venue in Darwin that’s been supporting local beer longer than most is Lola’s Pergola, run by Matt Mulga (pictured at top of article with partner Kitty Kat and Brad Rogers of Stone & Wood) and his family. Mulga, as he is known, also operates Monte’s Lounge in Alice Springs and hopes to have his third Territory venue, Babylon Berlin, open in Darwin around March 2019. He says that, while the beers available in Darwin have improved, it’s come off a low base. “It’s changed a fair bit but there’s been a lot that’s needed to change [and we] are still nowhere near Adelaide, Newcastle, Ballarat or any regional centre of a similar size,” Mulga says. Among the challenges faced is a lack of sales staff on the ground to support venues pouring beer from small breweries and the cost of shipping beer to the Top End. But, says Mulga, that’s changing too as logistics improve. “It’s become a whole lot easier and a lot of it is because more and more companies are using Kegstar,” he says. “I used to have to freight up all these kegs and freight back all the empties; there was that cost involved but I also had to store all these bloody empties. Mulga says they can face similar issues in Alice Springs but believes locals there tend to be quicker to support local breweries. It’s a view Alice Springs Brewing Co founder Kyle Pearson expressed when The Crafty Pint covered the brewery’s launch in September. 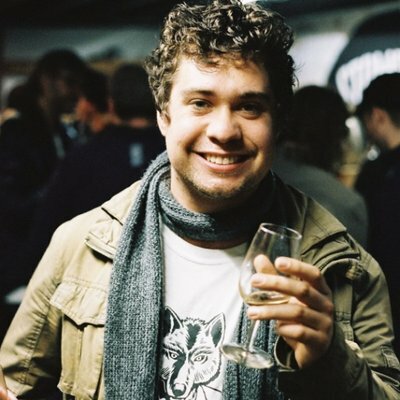 “I think Alice Springs, mainly due to the fact we get some cooler weather down here, is a bit more receptive to craft beer than the Top End,” Kyle said at the time. You can read our story on the launch of Alice Springs Brewing Co here. 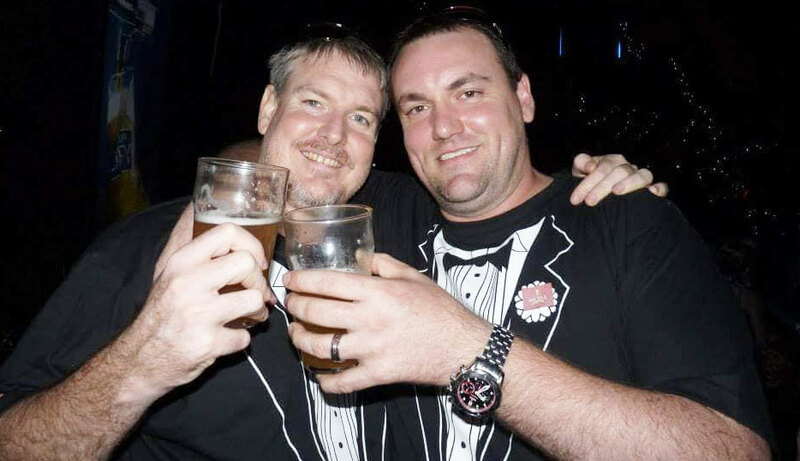 At Beaver Brewery, Chris says the tyranny of distance will always make brewing in Darwin tough. 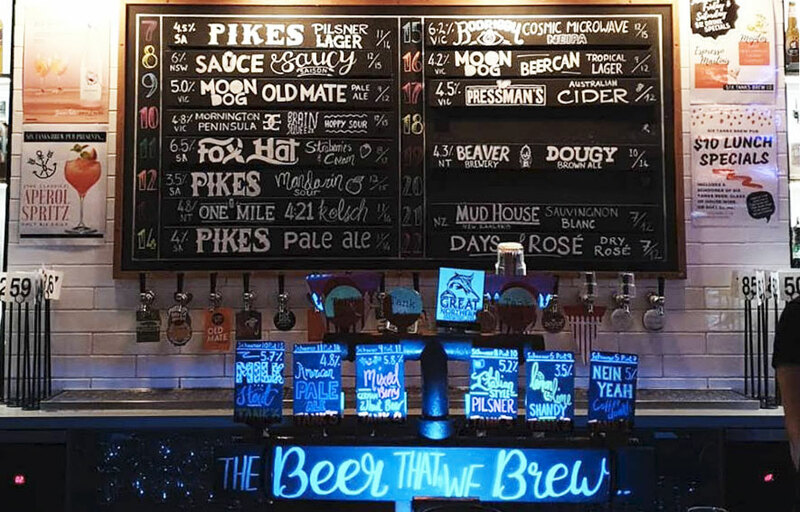 Even the local venues willing to be more experimental with their taps are unable to easily access the range of beer bar in another capital city can. So, while the likes of Moo Brew, Mountain Goat and Moon Dog might appear on taps, venues tend to rely on shipping large quantities of each beer into Darwin. All three Darwin breweries on tap at Six Tanks. Photo by One Mile Brewing. In a bid to keep the cost of beer low, pubs and bars often work together to bring beer in so, when it arrives, a lot needs to be sold before the still very limited number of non-contracted taps in the city are freed up again for another independent beer to appear. “It’s hard, everyone gets all their beer shipped up by the pallet from down south, so it can be hard to find that tap,” Chris says, adding that being local and able to build relationships are working in his favour. Aside from that, Stuart believes there’s still a lot of work and education needed. It’s a challenge shared by brewery owners and their reps across the country, albeit in different circumstances. At the same time, it's one many beer drinkers and tourists will welcome as a sign that change is underway. And, who knows, if it continues on its current trajectory, maybe 2019 will be the year we run our first Best New NT Beers retrospective? You can read a Who Brews...? feature on Six Tanks from earlier in 2018 here. And, all being well, visitors to Good Beer Week in Melbourne in May will be able to check out beers from the Territory's brewers when we introduce the first Territories venue as part of Pint of Origin.